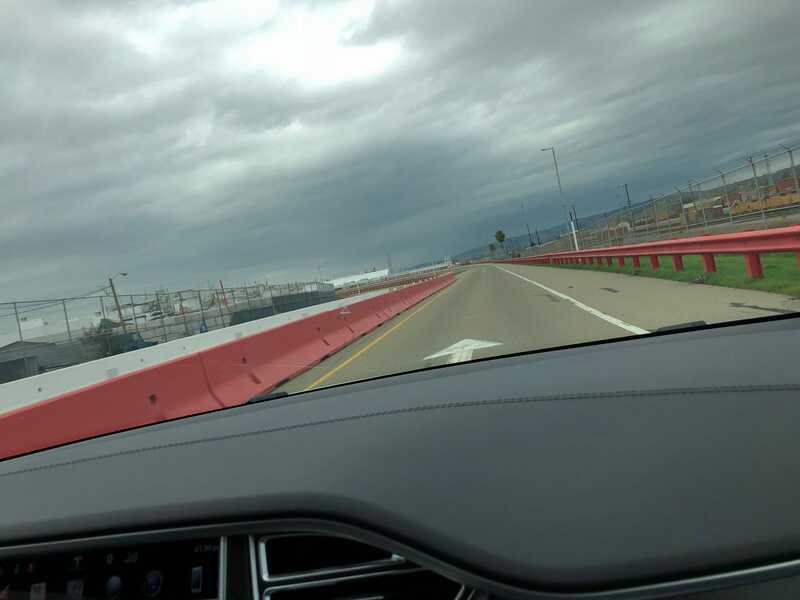 Tesla has an actual test track near its factory in California. The company uses it to test out vehicles before they’re delivered to customers. 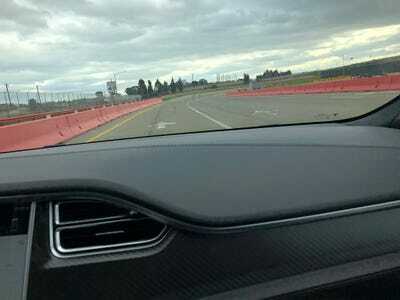 Tesla’s track is modest – but it is also a lot of fun. 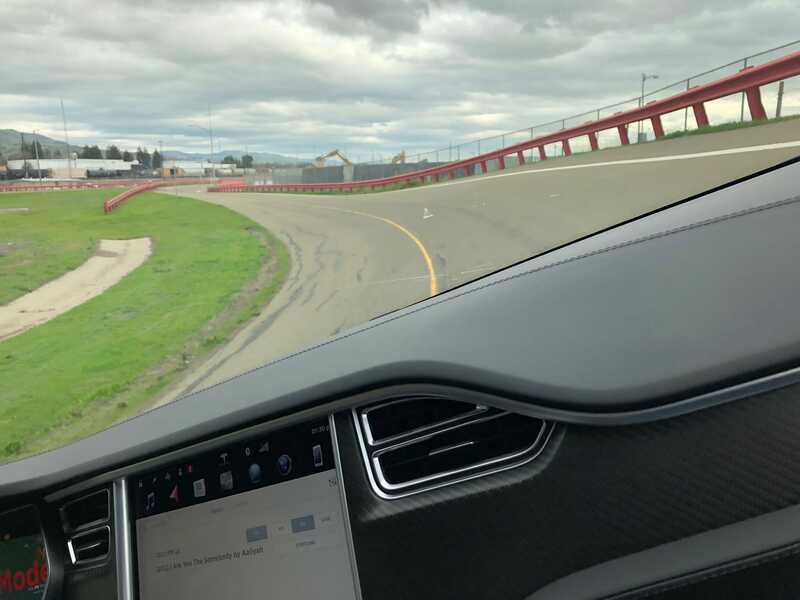 Big carmakers typically maintain serious test tracks to evaluate their vehicles and put them through various stress tests and performance challenges. General Motors has operated its Milford Proving Ground in Michigan since 1924, and Ford has done likewise at its own Proving Ground in the Detroit area. Perhaps the most famous manufacturer test track in the world is Ferrari’s Fiorano Circuit, located near the automaker’s factory in Maranello, Italy. It’s where Ferrari puts supercars, hypercars, and Formula One machines through their paces. Tesla doesn’t operate at the same scale as those guys, but it does have a test track. Located behind the company’s factory in Fremont, CA, from the air it resembles a tied shoelace, with a pair of banked loops joined by two straightaways. 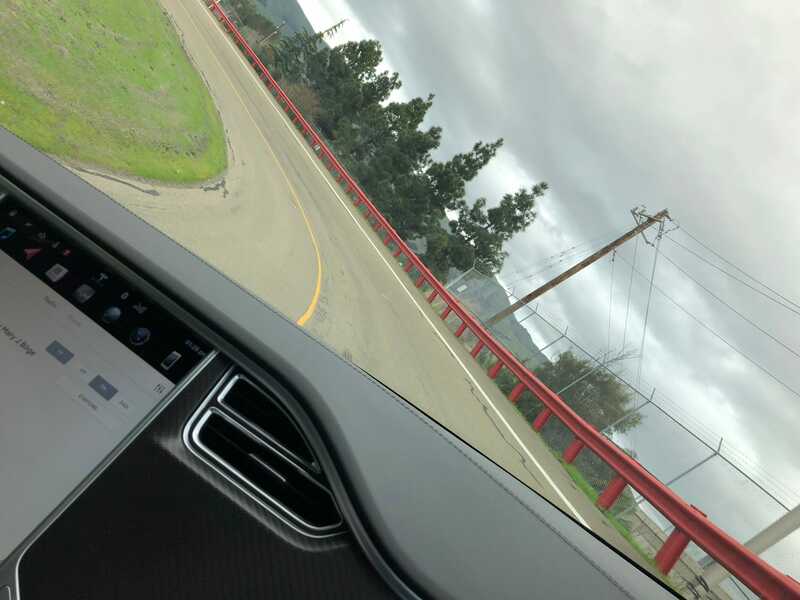 I’ve checked out Tesla’s track twice – one last July and again in January. It’s nothing fancy, dating as it does to the era when Tesla’s factory was jointed operated by GM and Toyota. 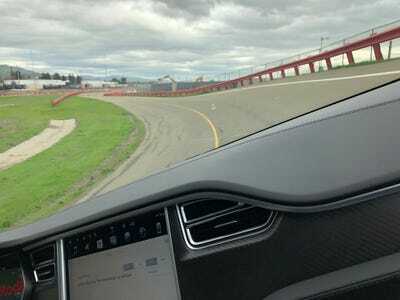 But it does serve as a sort of Tesla-rano, enabling the company to perform quality control on vehicles before they’re delivered to customers and also to sample the performance characteristics of various designs. 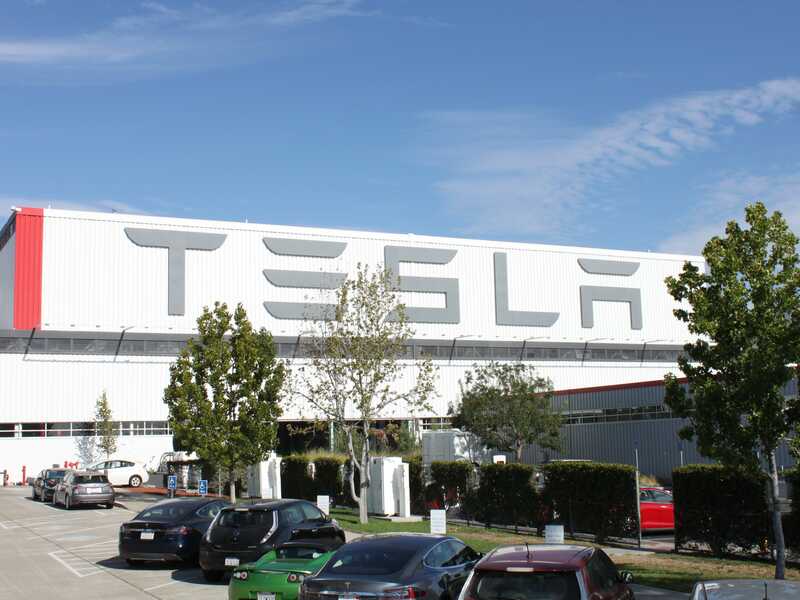 Welcome to Tesla’s factory in Fremont. It’s on the opposite side of the San Francisco Bay from Fog City. 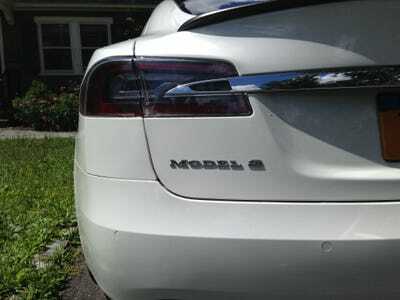 Tesla bought it from GM after the carmaker went bankrupt in 2009. And here’s the test track, seen from high above. It’s very close to the factory, so Tesla can easily take vehicles there. It isn’t much to look at up close. 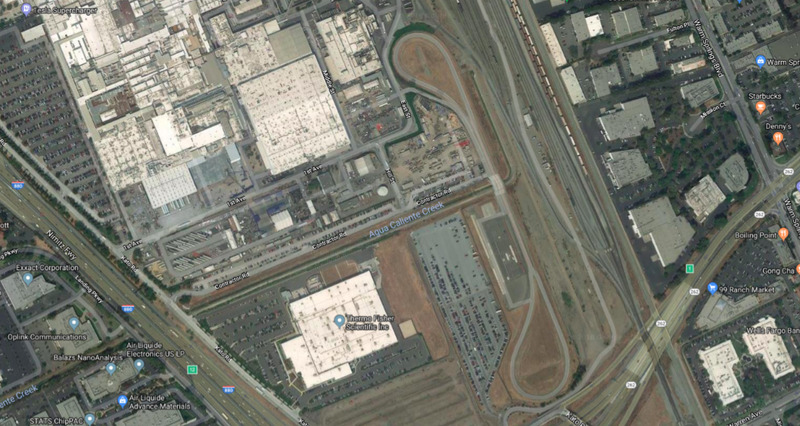 Essentially, the 35-acre site, which Tesla purchased after buying the factory, is a working test area. It’s not set up for racing by any stretch. So why am I here? 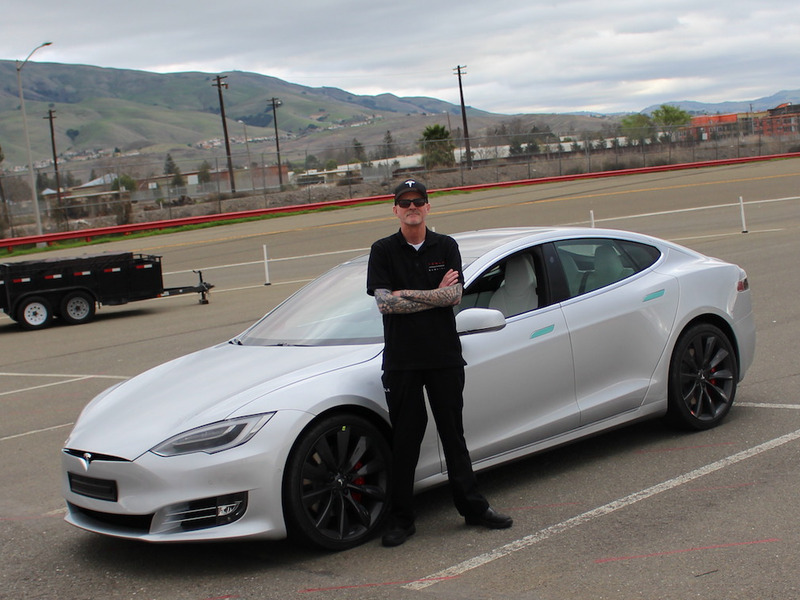 It’s to meet Jeff Hickethier, a quality inspector who drives Teslas on the the track all day long. Read all about Jeff’s cool job here. That’s a Model S P100D Jeff’s standing in front of — Tesla’s top of the line performance sedan, capable of a 0-60 mph run in under three seconds. 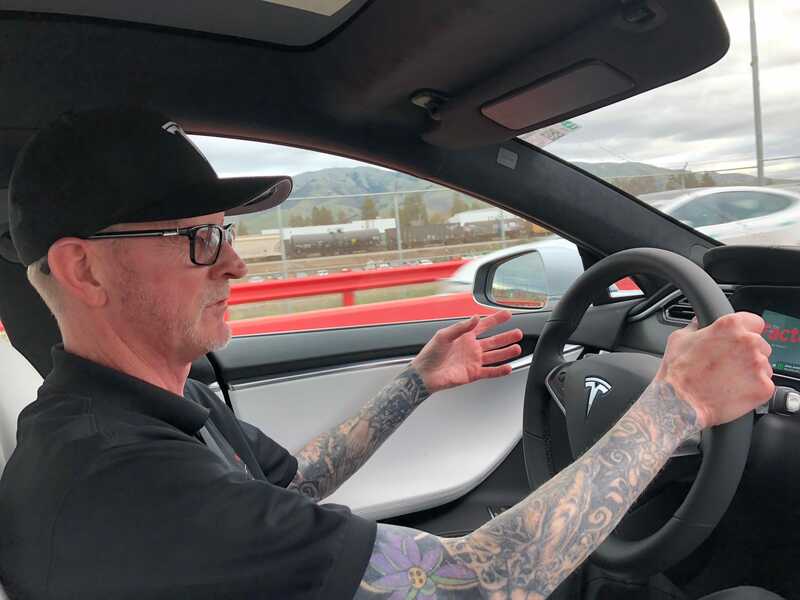 I’m no stranger to tracking cars — here I am at a Ford track in Utah, sampling the pleasures of a Shelby GT350 Mustang — but Jeff will be doing the driving. 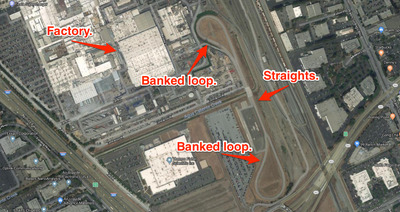 As tracks go, Tesla’s is pretty basic: straightaway, banked loop, straightaway, banked loop. Repeat as required. 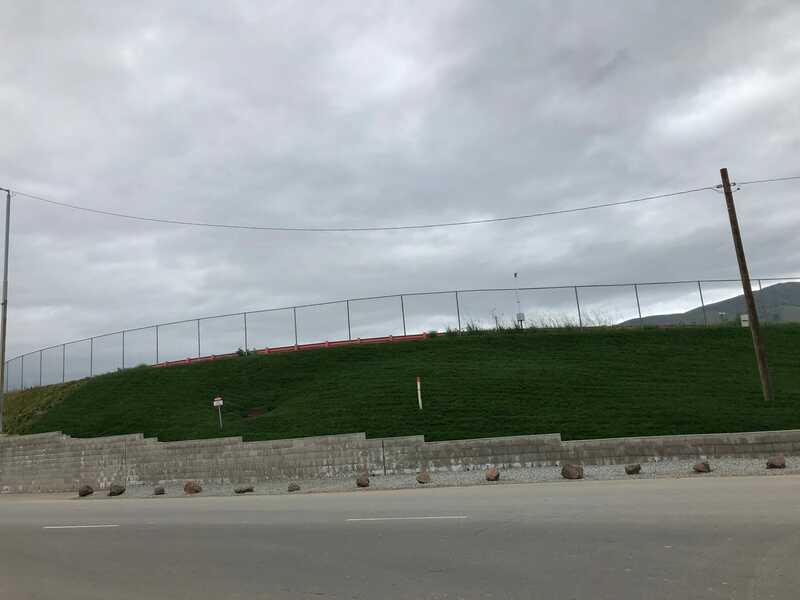 As you can see, the track is also well-loved. Nothing too fancy. The banked loops are the coolest part — and also a tad terrifying, because the track is so small. Tesla has the Brooklyn Coney Island Cyclone roller coaster of test tracks. Read all about the charms and dangers of the Cyclone here. Let’s go around for another loop! 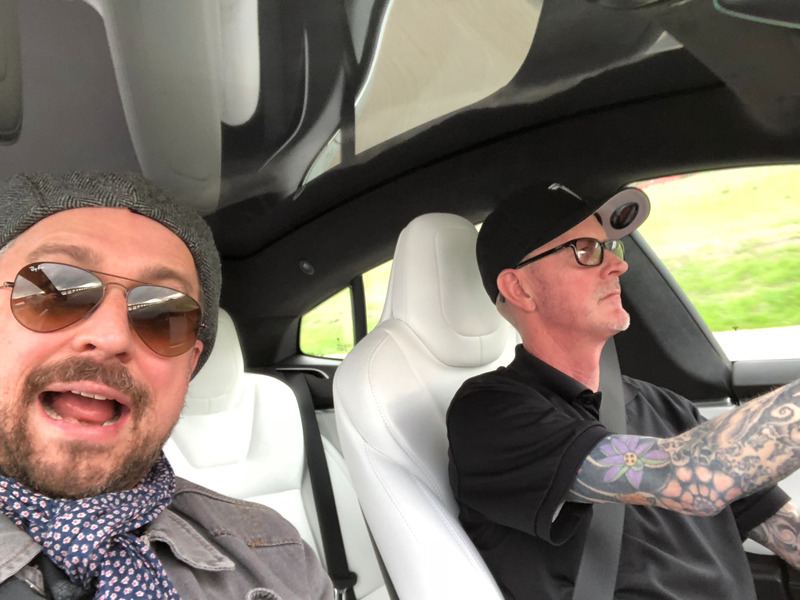 Jeff wasn’t really hammering the Model S through the curves — it was a customer vehicle undergoing testing, after all — but he wasn’t holding back, either. In all, we racked up a half-dozen laps and conducted a speed run to sample to Model S’s neck-snapping acceleration. Jeff was having fun, but also doing his job. He uses the track to ensure that Teslas leave the factory free from anything that might impinge on safety or come off as a driving flaw to an owner. 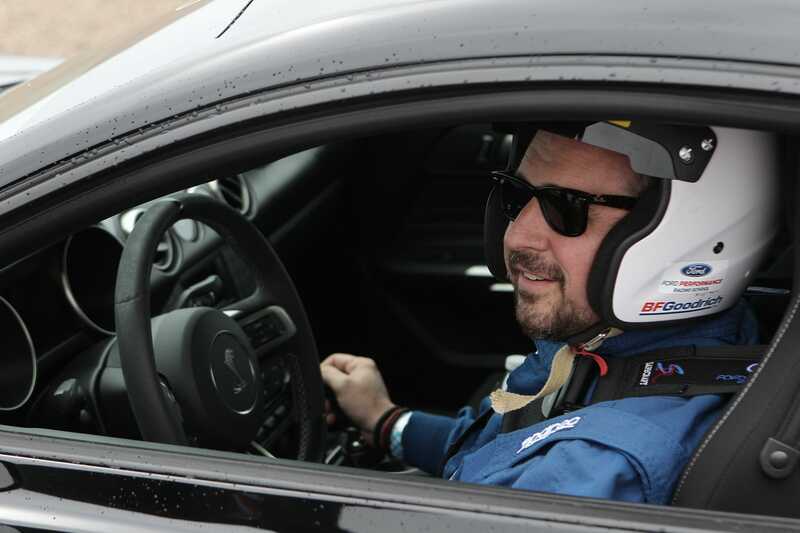 He also clearly enjoys his “office.” Sure, it isn’t quite Fiorano. But it’s Tesla’s track, and it has its own special mojo.